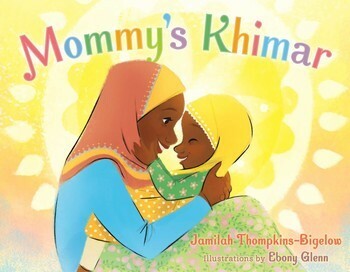 May 13 is Mother’s Day, and to celebrate, here are some lovely picture books that showcase mothers in all their wonderful and loving diversity. Whether you’re a birth mother or adoptive mother, stepmother, grandmother, foster mother, auntie, or any other incredible mother figure, this booklist is for you! Motherhood takes many forms, and this beautiful picture celebrates the bond between an adoptive mother and her new child. Puppy is worried because he looks different from his new mother, but she reassures him that what really matters is the love that they share for each other. Being apart can be hard for both little ones and their mothers. 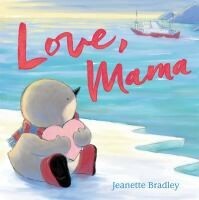 This new release reassures children of the strength of their mamas’ love for them, and reminds them that no matter where they and their mamas might be, they are always loved. This is a particularly meaningful book for mamas who work outside of the home, especially if their work involves travel. Mommies come in all sorts of shapes and sizes, colours and styles, but they are all wonderful and they all love their babies! Todd Parr brings his signature colourful artwork and child-friendly text to this celebration of motherhood in all its diversity. Stella’s feeling a bit worried about who to bring to her class’ Mother’s Day celebration. After all, she has two daddies and no mommy! 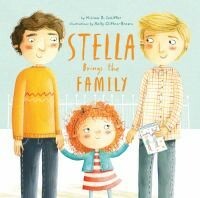 With a bit of help from her family, Stella realizes that she has many maternal figures in her life who do all the wonderful things that other kids’ mommies do for them. 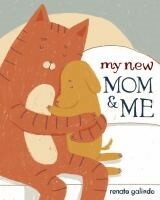 A warmly inclusive title that celebrates the diversity of modern families, and highlights the role of maternal figures. A little girl watches her mommy in her beautiful khimar, and as she plays dress-up with her mother’s headscarves, she’s reminded more and more of her mother’s radiant love for her. 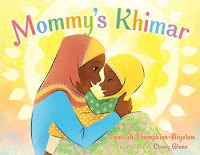 An adorable picture book that celebrates the special bond between mothers and daughters. Few authors understand the special bond between mamas and their babies better than Anna Dewdney. This classic picture book, which introduces the wonderful Llama Llama, is sure to make little ones smile, and their mamas laugh! As Mama Llama reassures her baby, "Mama Llama's always near, even if she's not right here”. Jane Whittingham is a librarian, author and book blogger whose debut picture book, Wild One, was published by Pajama Press in 2017. You can read more of her work on her website, www.raincitylibrarian.ca. UBT April Booklist all about Dance, Dance, Dance! April 29 is International Dance Day! Dance plays an important role in cultures all around the world, and can be a powerful means of self-expression. Dance can also be a great way to incorporate more healthy movement into our increasingly sedentary lives. 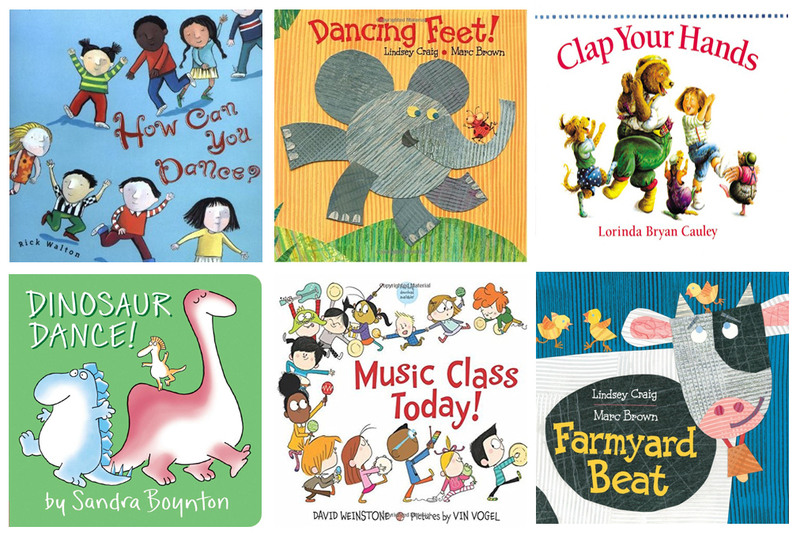 Celebrate dance with these beautiful dance-themed picture books that offer great opportunities for children to develop executive function skills by following instructions, while having a toe-tapping good time. This joyous rhyming picture book will have youngsters tapping and jumping, skipping and spinning like their favourite animals, using their imaginations and working off some of that seemingly inexhaustible energy! Catch the farmyard beat with this delightful picture book from the same team that brought us Dancing Feet! No one on the farm can sleep because they’ve all got the beat! But what happens when all that grooving and dancing wakes up the farmer? Tiny dancers will want to bop and move along with this perfect crowd pleaser. The dinosaur dance party is about to start, and everyone’s invited! Shimmy shimmy shake and quivery quake along with these adorable pastel dinosaurs who really know how to movie. Another winner from board book expert Sandra Boynton. Music class is so much fun, but for one small child, all that noise is overwhelming! With some patience, reassurance, and plenty of love, though, even the most hesitant of young musicians can find their rhythm. This sweetly illustrated picture book is perfectly reassuring for any children who might be nervous about starting a new class, program or activity. Bunnies and baskets and chocolate, oh my! Easter is coming, and what better way to celebrate than with beautiful picture books? Picture books are always the perfect gift - much healthier, and longer lasting, than chocolate, that’s for sure! Experience the fun and excitement of an Easter egg hunt again and again with this colourful lift-the-flap book. Toddlers will love helping Spot find his hidden Easter eggs in this sweet lift-the-flap book. 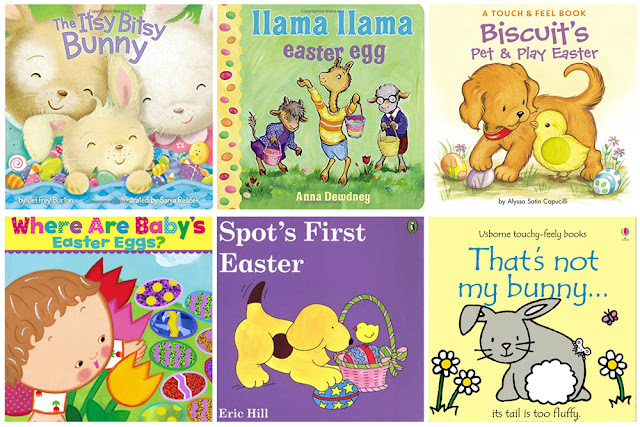 This Easter-themed entry in the popular “That’s Not My….” series offers bright colours, adorable illustrations, and textured patches for babies and toddlers to touch and feel. The classic children’s song The Itsy Bitsy Spider gets a charming Easter make-over with this singable story about an Itsy Bitsy Easter Bunny! 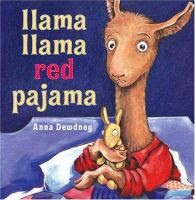 Introduce the youngest readers to Llama Llama, the beloved hero of Anna Dewndey’s series of picture books, in this simple, rhyming board book adventure. Everyone’s favourite puppy is back in this toddler-friendly touch and feel Easter board book filled with different textures and colours to explore. This spring, the charming tale of The Velveteen Rabbit leaps onto the stage at Waterfront Theatre to celebrate the boundless imagination and the power of believing. As a young child did you have a toy that you absolutely loved? A blanket, a doll, or even a stuffed animal with one eye and who appeared to be rather tattered looking? 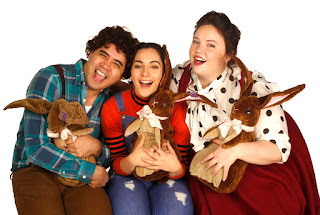 Carousel Theatre for Young People’s The Velveteen Rabbit brings a stage adaptation of Margery Williams’s beloved 1922 picture book, the play encourages children and adults of all ages to use their imagination as the three actors take the audience on a magical storytelling journey. With a dash of magic, the three actors Steffanie Davis, Victor Mariano, and Amanda Testini transform their playspace into a children’s nursery with a rocking horse, a magic bed, a cavalcade of mechanical toys, a kind-hearted fairy and a toy rabbit who is transformed by one little boy’s love. As the story opens the narrator explains how a boy receives a stuffed rabbit in his Christmas stocking. However, the little boy soon neglects the rabbit for flashier toys (which is still quite common with children today), but eventually the two friends find themselves together again. Despite some trials the rabbit and the boy, develop a loving friendship. And as the story progesses the rabbit starts to lose his fur and whiskers, and becomes real to the boy....becoming real is what all toys dream of. With lots of funny jokes, puns, lively music and audience interaction you and your child are sure to be captiviated by the entire 55 minute performance. The Velveteen Rabbit is recommended for ages 3–8 years and and their grown-up companions. For more information or to book tickets click here. On the stage from March 3rd to March 25th, 2018. CTYP provides playful, exceptional and accessible theatrical experiences that inspire, involve and educate. At Carousel Theatre for Young People we believe that the arts play a vital role in a young person’s development. Now in its 43rd season, CTYP has received multiple Jessie Awards, and is the only professional theatre company in BC that creates a mainstage season of plays specifically for young people. The fundraising event includes a range of fun activities for kids up to age 10 – including egg decorating, face painting, crafts, games, refreshments and an appearance by the Easter Bunny, plus, of course, the Easter egg hunt. 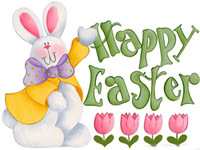 Join in on the Easter egg hunt (kids look for marbles and exchange them for chocolate eggs). There will also be magic, music, face painting, photos with the Easter Bunny, a Easter basket craft and a duck pond prize game. Rain or shine. Cost: $5 per person, cash only. Join us at The ACT Arts Centre, for a new exciting indoor Special Easter Activity! 7 Activity Stations (Approx. 70 Min to complete all Stations). 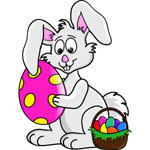 Includes: Photo Stage & Easter Goodies, Paper Easter Basket Making, Face Painted Whiskers, Bunny Ear Headbands, Activity Showcase, Creative Poems, Dancing. $5 per child, parent participation. Wonderful Easter Egg Hunt at Fraser River Heritage Park. Celebrate spring with a fun-filled Easter egg hunt and a visit with the Easter Bunny. Costume prizes at noon and egg hunt at 1pm. This family event is filled with activities for children between three and 10 years of age. Event highlights include: entertainment, crafts & face painting, photos with the Easter bunnies, the petting farm and loads of fun activities for youngsters to enjoy. Concession services will be available. Admission is free. Kids ages two to nine are invited to hop on over to Heywood Park (Marine Drive and Hamilton Avenue) for some Easter fun! Don't forget your Easter basket for the chocolate egg hunt. It will start at 10:30am SHARP (while supplies last)! There will also be face painting, balloon animals, a bouncy castle and entertainment to enjoy! Event will take place rain or shine. This year's Easter festivities will feature delicious brunch classics for all ages and an exciting Easter Egg hunt led by the Easter Bunny himself. Cost: Adults $55, Child (5 - 12 years) $20, Tots (2-4 years) $12. Reservations limited. Britanniasaurus Rex is back again! Join us this Easter for our annual Dino Egg Hunt. 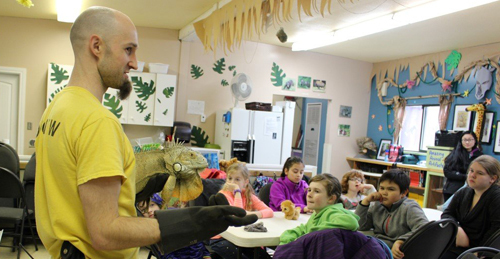 B. Rex will be wandering around the Museum site from 11:00am to 11:30am and then 1:00pm to 1:30pm, hiding gem-filled dinosaur eggs. Find the eggs and then bring them to the mineral table to identify your treasures. We'll also have a special table where you can learn how, where and under what conditions minerals form! Anyone who has been a parent knows that sometimes you really need to talk about the challenges we face. Many of us reach out to family and friends when we need support, new parenting strategies, or just to vent our frustrations. However, some of us can’t reach out to family and friends because of distance, or estrangement. Others may not be comfortable sharing our parenting challenges with friends and family. These are a few of the reasons Parent Support Services Society of BC (PSS) offers free Parenting Support Circles. As one parent said, “It's a loving circle of many interesting parents. Parents there can exchange their ideas and experiences freely." Bella Cenezero, Director of Circles and Community, says “We believe that every parent is the expert of their own family.” She adds, “Sometimes all a parent, or other caregiver, needs is a chance to share with who have experienced similar frustrations, challenges, and joys.” Cenezero adds, “We have been told that our Circles are a lifeline for many.” Participants learn new strategies for parenting, receive resources and make connections that often break isolation. In the Lower Mainland, PSS currently offers 19 Circles in various locations. These include support groups for grandparents who are raising and are the primary caregivers for their grandchildren, Circles run in English, Cantonese, Mandarin, Filipino, Spanish, and Korean. One parent who was new to Canada said, "This group helps me with my problems. Moreover, I benefit by learning how other parents solved their problems in different situations. New immigrants need assistance in this area." Circles are currently operating in Vancouver, Burnaby, Coquitlam, Surrey, Richmond, Abbotsford and Langley and run daytime, evening, and weekends depending on location. Cenezero emphasizes that as well as Parenting Support Circles, PSS offers workshops in the Lower Mainland on a variety of topics on a monthly basis. 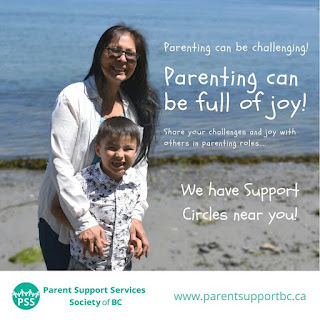 Parenting Support Circles offered in in communities across BC include: Indigenous Parent & Kinship Care Circles; groups for parents who are raising children on the autism spectrum; Circles for parents in prison; groups for parents who are raising children who are trans or gender creative; Circles for grandparents and other relatives raising their kin; and groups that operate in various languages. PSS has Circles for people like you!